As some of you may know, my Poppa has been battling lung cancer for the past 6 months. On Thanksgiving Eve, after all of his grandkids had made it home to say their goodbyes, he released himself to the Lord. In honor of my Pop, I wrote a short piece that I thought I’d share. I promise these eyes aren’t crying from sadness. They’re full of memories, of life, of lessons. They stream as the pools in which we fished and they tear as the dew from those dreaded rhubarb plants. I will not cry for mourning but for memory. I will cry for the strength, confidence, and inspiration you provided. I will cry for your knowledge; your impeccable ability to know more than t Maury, Judge Judy, and the ESPN sports officials. I will cry for trade-e-o radio, the oldies, and that blue suede Cadillac. I will cry for the precision you taught; the tomato rows, blackberry pants, and fresh cut grass. And I will cry for happy birthday song and the warm “hello beautiful” I will never hear you speak again. But I won’t cry for the times we had for they made me who I am. 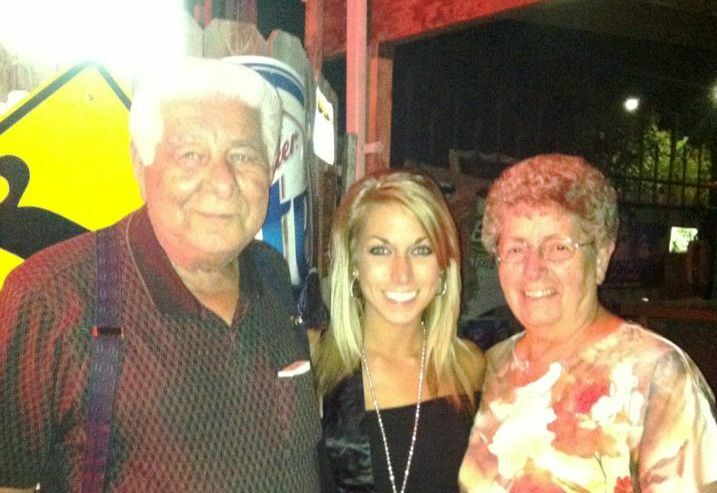 I love you forever and always, poppa….until we meet again.